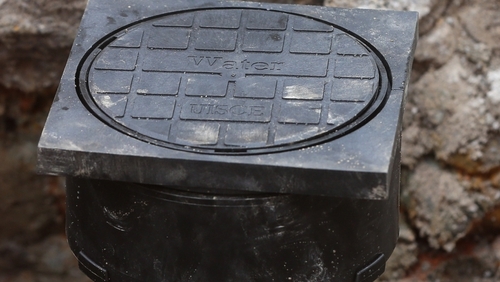 The managing director of Irish Water has told an Oireachtas Committee that 28,000 water leaks have been repaired following the installation of over 800,000 domestic water meters. Jerry Grant told the Oireachtas Committee on the Future Funding of Domestic Water Services that 77 million litres of water a day was being wasted in the 28,000 identified leaks. Irish Water distributes 1.7 billion litres every day, and 765 million litres, 45%, is lost in leakage, the committee heard. Mr Grant said that while about "7% of households are showing leaks at the moment, the other 93% are only using of about 110 litres per person which is very comparable with northern European figures so we are not in very bad place as far as the vast majority of people are concerned". Responding to a question from AAA//PBP TD Paul Murphy, Mr Grant said: "In the last two years 28,000 houses have had leaks repaired as a result of the meters and the first fix notification scheme. "6,500 or nearly 7,000 of those are under gardens and driveways, 21,000 in homes. The total amount of water that is no longer recorded by those 28,000 meters is 77 million litres per day." Representatives from Irish Water and the Commission for Energy Regulation are appearing before the Committee on the Future Funding of Domestic Water Services. Fine Gael TD Kate O'Connell asked why individual metering at people's homes is said to beneficial to district metering. Mr Grant said "When you measure a flow to a house you can use that information for a variety of purposes. "The decision to bring in individual meters was a government decision with the intention of bringing in user-based charges. "What other benefits can we get from meters? A lot of the information points to the fact that there is a relatively small number of households using a huge amount of water. "For example we know that 1% of households use over 20% of all water supplied to households. 5% of households use a third of all the water supplied to households. "Because we have a leak alarm on the individual meter, we also know that about 7% of houses have continuous night flows which are indicative of leaks. "So we have been able to target the proportion of leakage which is on the household side more directly through the first fix scheme." He said that district meters are a completely different piece of infrastructure and they determine the flow of water to a particular area. He said there are 4,407 district meters in Ireland, which he said means "we are well covered in terms of district metering". He said that in 2014 about 50% of the district meter infrastructure was not working as it was not maintained over the previous four or five years. He added: "We will now put in a leakage management system which will give us all of the live data from all of those meters back into HQ. "In broad terms we distribute 1.7 billion litres every day. About 600 million litres in households, roughly 300 million litres in non-domestic, operational and other uses and about 765 million litres or 45% is lost in public side leakage. "So the big issue with leakage is undoubtedly on the public side and that is where the district meters will be needed to bring that down to the sort of levels that other countries are achieved. "But on the domestic side about 170 million litres of the 600 million litres appear to be leakage depending on what the meters are telling us." He said the fundamental gain from metering has been around stopping the leakages and getting households to stop leaks. Citing evidence heard from Scottish and Welsh Water last week, AAA/PBP TD Paul Murphy said that in order to find leaks in people's homes it is not necessary to have domestic water meters. He asked if leaks can be found with district metering and sonar technology and without individual meters. Mr Grant said that if you do not have individual meters, leaks can be located by sending operators around the district meter area with sounding sticks to find the leaks. But he added: "Now that we have almost 900,000 meters or 893,000, each reader over two months can meter 80,000 properties and that is going to turn up roughly on the basis of current statistics 5,000-6,000 leaks. "If you were to try to do that with operators, with sounding sticks, obviously you wouldn't get anywhere close to that figure. In terms of efficiency of identifying leaks in properties, there is no comparison."